WOW! 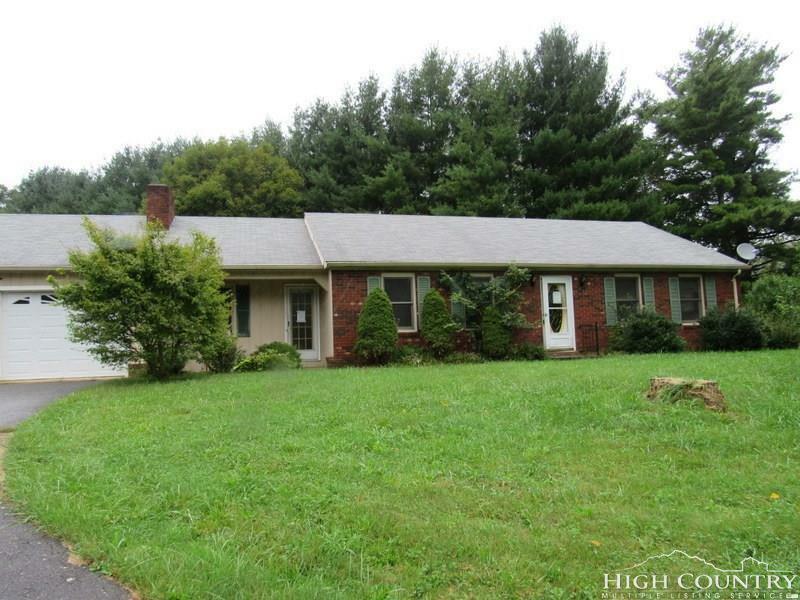 It's a project, but look at the price for this brick home! 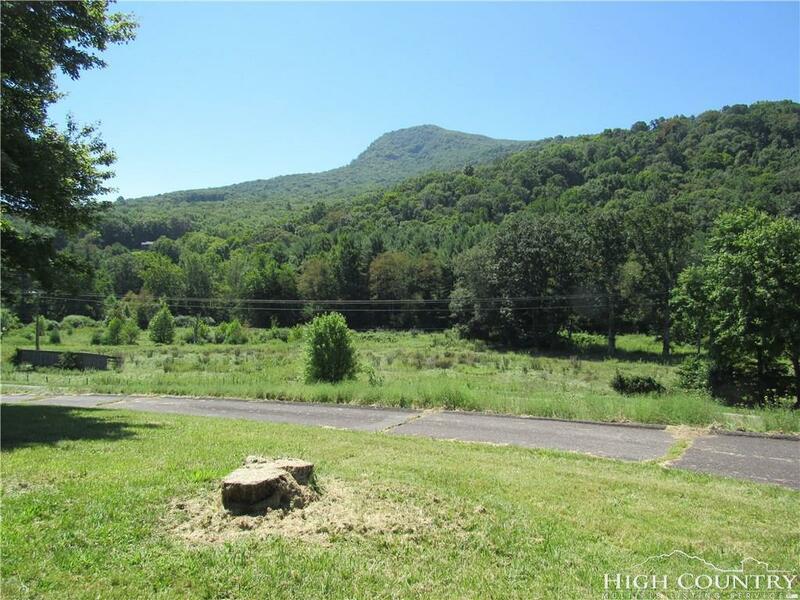 Beautiful country setting with mountain views on 1.0+/- AC gentle ridge top less than 6 miles to West Jefferson. 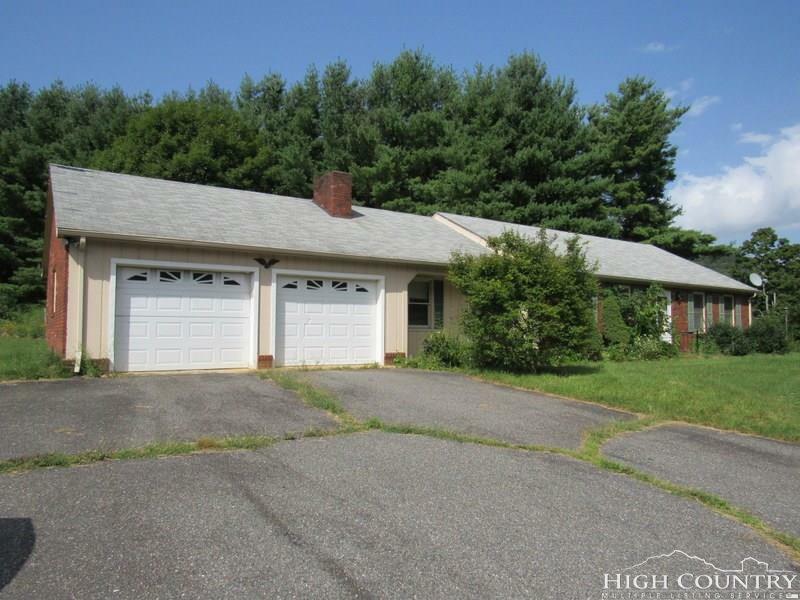 Brick ranch with oversized, attached, double garage. 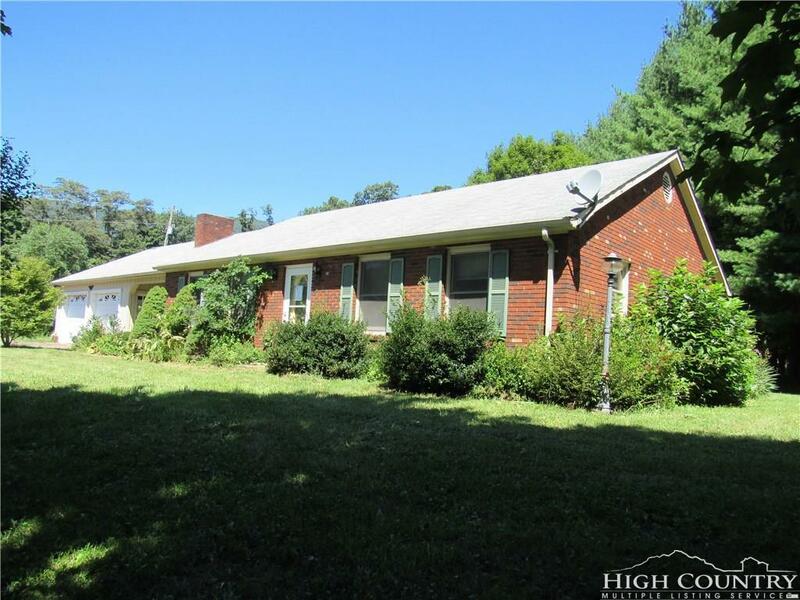 2BR/2.5 BA with big yard all around - lovely setting on the hilltop - paved driveway and parking. Easy access on state paved road. Spacious rooms. Kitchen with lots of cabinets is open to the cozy den with fireplace insert. Separate dining room. Large living room. Oil fired hot water radiator heat components in house. Small creek runs along lower edge of property. Septic permit not found. House was built before 1978, so lead based paint addendum applies. Seller will make no repairs. SOLD AS IS. Proof of funds required with offer.